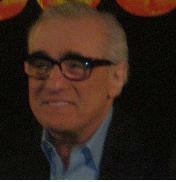 Martin Scorsese. a.k.a. Marty, directs Shine a Light, a concert film featuring The Rolling Stones at the Beacon Theater in New York City. The film will be shown on glorious IMAX screens as well as regular screens. Marty has previously directed Mean Streets, Taxi Driver, The Last Waltz, Goodfellas, Kundun, Gangs of New York, The Aviator and The Departed, for which he won an Academy Award for best director. I had the privilege to interview him together with The Rolling Stones: Mick Jagger, Keith Richards, Charlie Watts and Ronnie Wood. 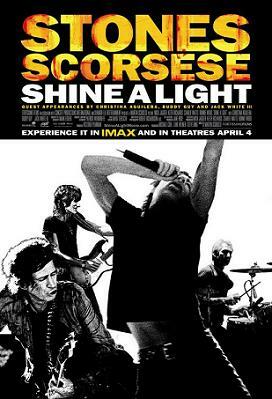 Paramount Pictures releases Shine a Light on April 4th, 2008 nationwide. NYC MOVIE GURU: Mick, what was the experience like of being filmed in Shine a Light? MJ: Shooting this movie was quite nerve-wracking in some ways for us, and in other ways it was fantastically enjoyable. I’m sure that Marty has got a lot of things going on, and he’s got to cover it when it happens. It was quite a challenge. It was great challenge for everyone sitting at this platform both on the night and after it. Career-wise, you always see things as great fun, but they’re also challenges to do these things that are slightly different from what you do normally. NYC MOVIE GURU: Marty, why did you film Shine a Light in a small arena? MS: We discussed doing it at a bigger arena and I looked into that. While I was doing it, I was trying to prepare for that. I began to realize I think I’m better suited to try to capture the group on stage, on a small stage, more for the intimacy than for the group and the way they play together—the way you see the band work together and work each song. I found that to be interesting and, more than interesting, it’s just a compulsion of mine. I love to be able to see that and [to] be able to cut from one image to the other, movement, that sort of thing, but really about the intimacy of the group and how they work together. NYC MOVIE GURU: Keith, what made the Beacon Theater special for you? KR: The Beacon Theater is special for some reason anyway. The room sort of wraps its arms around you, and every night, it’s warmer. It’s a great feeling room, and also, this band didn’t start off in stadiums. NYC MOVIE GURU: Marty, what moments did you focus on capturing? MS: For me it was literally the moments when you can see the band working together. All the songs, it’s like a narrative, a story, and the whole sound of the band is like a character, one character in each song. With the grace of these wonderful cinematographers, headed by Bob Richardson, and people like Bob Ellsworth and Ellen Cass and Chivo(?) and Bob Toll and Leslie, who did "Lord of the Rings," Edgar Rollins, they were able to, like poets at times, know exactly when to move that camera to pick up a member of the band. We thought this in 35mm, not video, so we had 10-minute loads, and cameras were going down all the time, running out of film, so another camera would pick up where someone left off. That’s why there were so many, to be able to pick up the slack. But the key was to find the moments between the members of the band and how they work together. It’s like a machine, its own entity during each song. NYC MOVIE GURU: Mick, how do you feel about the film being in both IMAX and regular screens? MJ: The funny thing really is that [Marty], after looking at all the options, decided that he wanted to make this small, intimate movie and I said, “Well, the laugh is that in the end it’s going to be blown up to this huge IMAX thing, so the intimate moment is shown in IMAX,” but it looks good in IMAX. We’ve got both formats, so we’re happy with that. NYC MOVIE GURU: Mick, how do you prepare for a concert? MJ: Just do it, just get out there. You get very pressurized in these situations. The thing I always find is when a movie shoot that you really have to come up to the plate and fortunately, we had two nights. As Keith was saying, it’s good to play there more than one night and I agree with him, because the first night we played was more like a rehearsal for us in a way, and by the time the second night came ‘round, we got more adjusted to playing in a small theater, because though we played lots of small theaters in the past, we hadn’t done it on this tour, so this was quite different to suddenly go into this small theater. By the second night, we knew hot to sort of do it, this was going to be the night with all these people there and everything, but I felt really good about that particular night, so you just have to almost come and do it. NYC MOVIE GURU: Marty, given that you’ve made many films about the mafia, how do you compare that to working with the Rolling Stones? MS: The music is something that deals with at times, it reminds me of when I went to see “Three Penny Opera” back in 1959-1960 at the Theatre De Lys and how the music affected me and what that was saying and what that play said, and the lyrics were so important to me, that particular play. I found I grew up in an area that was in a sense like the “Three Penny Opera”, and I think at times the Rolling Stones’ music had a similar effect on me. It dealt with aspects of the life that I was growing up around me that I was associated with or saw or was experiencing and trying to make sense of, and so it was tougher, had an edge, beautiful and honest and brutal at times and powerful, and it’s always stayed with me and become a well of inspiration, like to this day. As Mick said in Berlin, he said ) can I take the line from you? 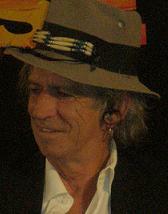 He said, “I want you to know that Shine a Light is the only film [of mine] that Gimme Shelter is not played in. And when I use Gimme Shelter in a film, which I think is just as apropos of the world we’re living in today, Gimme Shelter. When I use it in a film, I don’t remember that I used it before. I say, “Well, let’s do that” and they say “Well, Marty you did it before” and I go, “Well, it’s alright.” I keep forgetting, you know, but it’s something that the music has been very important to me over these years. NYC MOVIE GURU: Keith and Mick, which are your favorite films by Martin Scorsese? MJ: Kundun one of my favorite. It’s hard to choose your favorite. I love nearly all of Marty’s movies and I can’t wait for the next one. NYC MOVIE GURU: Marty, Who selected all the documentary clips shown in the film? MS: Dave Tedeschi, the editor of the film, [and I] worked together almost 9 to 10 months. The music came together rather quickly in the cutting. That was very enjoyable. The hardest part was putting together the clips. I think Dave had over 400 hours of archival footage, and then he chose about 40 hours for me to see. And then we worked from that 40 hours and it was a matter of balancing, saying something but not saying too much and then saying nothing with it. That was the key, and balancing it so it wouldn’t unbalance the music in the piece. To do a film of all archival footage I think would be a four- or five-hour documentary. NYC MOVIE GURU: Mick, how do you feel about the footage? MJ: There were some moments when I thought the archival footage was going too long and I felt we were going off into another movie and not at a concert. Because it was really kind of riveting sometimes, those old movies, but then if it goes on too long you want to come back to the concert stage. Sometimes David left them a little bit on the long side, so in the end we ended up with what we had, which was good. NYC MOVIE GURU: How palpable was the initial tension between you and the Rolling Stones? MS: I trimmed it a bit. The actual phone call was 45 minutes, so I cheated a bit. The idea is to capture the spontaneity of the group, and the word ‘capture’ means you have to control it, but you can’t control spontaneity. And yet the cameras have to be in the right position. And then I wanted to go a little further and have them be all moving cameras, but that means they could collide with the performance, so you have to be very careful and all this sort of thing. And also the band is on tour, so we ended up talking to each other in like little talking boxes. I shot that at I think 11 o’clock at night on video, and I said to my sister who was in the hotel next door that had white phones, I said, ‘Gimme a white phone,’ because I happen to like white phones. I said to David, just get the voice in a little speaker, like a box, like the voice of Zeus coming up into the air. But the humor of that was that we could never be in the same city together for a long period of time, we just couldn’t do it, and so we had to work that way. I did trim down the phone call, that’s true, although I couldn’t stop talking about camera moves and sweeps. That’s very real. And the set list itself, it had to really be something that they all worked out almost I think to the last minute. You have to know the room, you’ve got to feel the temperature of the audience, you’ve got to feel what’s happening. It could be softer, it could be anything. I was concerned that we get as much as we could on film because the film’s running out of magazines at 10 minutes a clip. I wanted to get the first three songs completely, with all 12, 15 cameras, whatever it was. But inevitably some of them are going to go out, which happened I think with "She Was Hot." But luckily we had the backup cameras. I actually found out the set list a little earlier than that. Someone did purloin it. I’m not going to use the word "stolen" or say who it was, but we found it. NYC MOVIE GURU: Mick, how do you feel about Marty beginning and ending the film? MJ: We had a lot of trouble working out the ending of the film with Marty because he had to go to a lot of different acting coaches. NYC MOVIE GURU: How do you feel about being it, Marty? MS: It was sad, yeah. I do it in a lot of my pictures, like with Edward Kennedy, the slow burn. Very often you do feel like a hapless person sitting there. It started snowing one night when we were shooting, it wasn’t supposed to snow, things like that. But that’s the nature of what it is. There [are] so many concert films now where you see the actual setting up of the concert. Let’s have fun with it, let’s get to the actual tension, and the good humor of that tension, really.